These refined Matte Eye Shadows have a high pigment density for longer lasting color. They blend easily and can be applied dry or wet for added intensity and drama. Ingredients: Talc, Polythylene, Treithylhexanoin, Zinc Stearate, Tocopheryl Acetate,Sodium Dehydroacetate, Trisodium EDTA,Tocopheryl Acetate,Phenoxyethanol.Ehylnexylycerin. 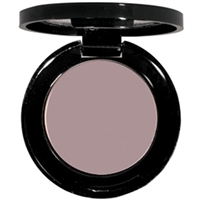 Sensation Frost Eye Shadow - CLOSEOUT!